It’s been one year since Royal Canadian Mounted Police Cpl. Trevor O’Keefe died by suicide, and his family, friends, and colleagues are still working to honour his memory. Over 500 people participated in the second annual Walk a Mile In His Shoes fundraiser on Saturday at Quidi Vidi Lake, wearing T-shirts commemorating O’Keefe, who was a well-known officer and media relations spokesperson for the RCMP. All proceeds from the walk went to the Canadian Mental Health Association of Newfoundland and Labrador. The event was organized by Clarenville’s Donna Hancock, who says O’Keefe helped her tremendously after she fled an emotionally and physically abusive relationship. She hopes the walk will open up a dialogue about post-traumatic stress disorder. “He was always there for me to let me know that I wasn’t alone, to keep going, to never give up,” she said. Hancock said she wants everyone to know that no matter who they are, help is available. 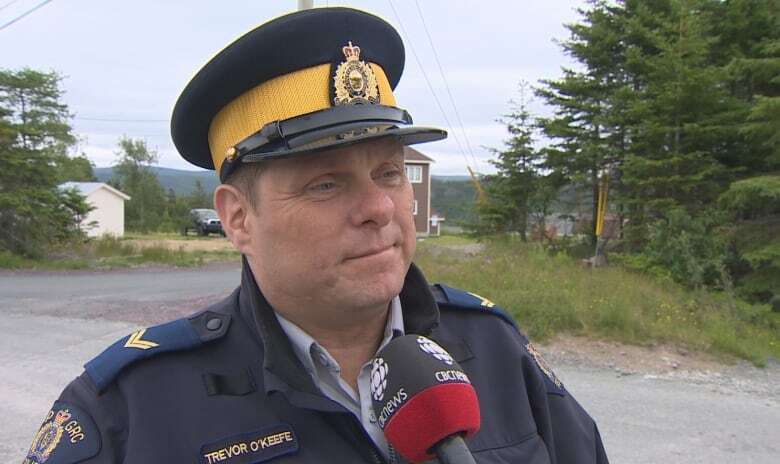 Many members of both the RCMP and the Royal Newfoundland Constabulary participated in the walk. “I can’t express in words, really, what it means,” said Hancock. 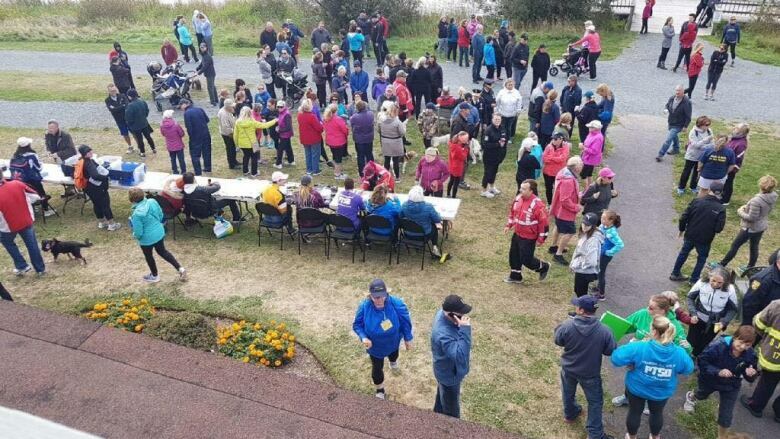 Saturday’s even raised $6,000 for the Canadian Mental Health Association of Newfoundland and Labrador. Another walk in O’Keefe’s honour will be held in Clarenville on Sunday.